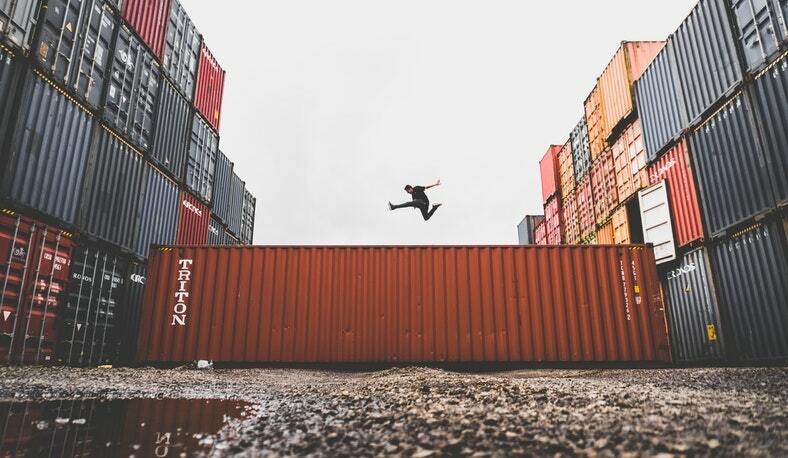 Shipping containers are far more than a means to safely transport and store cargo, they are also excellent insulators, weather-resistant, strong, and affordable. For all of these reasons and more, in recent years there has been a surge in the use of shipping containers for constructing sturdy and long-lasting buildings and structures. Here we have just 10 interesting ways to reuse shipping containers to get your creative juices flowing. The industrial aesthetic and sturdiness of shipping containers provide the perfect structure for a tiny home. Whether it’s a temporary holiday house or your permanent home, you can use the structure as a starting point for your home. The corrugated iron creates a warehouse vibe that can make any gig or event feel electric. The metal space can also offer excellent acoustics to make sure everyone in the room enjoys the music! Shipping containers are designed to be moved so they make excellent food trucks or pop-up restaurants that can be moved from festival to festival. Shipping containers are the perfect measurements to create an excellent above ground and built-in pool. You’ll be able to swim lengths and fully submerge underwater, and because they’re so watertight, shipping containers are easily made into secure swimming pools. If you like the idea of being out in nature but would rather sleep on a bed than on the floor, you could make a camping pod out of a shipping container. They can be fitted with all of the home comforts, including a toilet and shower, and allow you to get a restful night’s sleep. Whether it’s a small pop-up boutique or a large wholesale warehouse, shipping containers will keep the stock dry and protected and keep your overhead costs low. It sounds like it shouldn’t work, but it does! Because shipping containers are such good insulators, you can fit one out with all of the equipment to build a sauna and it will lock the heat in and allow you to sit back, relax and detox! If you don’t have the room for a private gym in your home and are looking to build one in your garden, or you’re looking for a low-cost space to open your own public gym, shipping containers could be the ideal solution. Low-cost, strong and sturdy, you can use as many as you need to give you enough space to fit all of your equipment while also keeping everything secure against thieves. You can use shipping containers to create a cool bar. Either cut out the panels and insert glass to make it light and airy, or make use of the dark to create a dramatic atmosphere! If you need somewhere away from your family or flatmates to record your music, a shipping container could be perfect. Compact, affordable and easily soundproofed, you can pop one of these at the end of your garden or on a piece of land and play your music to your heart’s content! We hope you’ve got some great, creative ideas from this list of 10 ways to reuse shipping containers. There’s always risk involved when you DIY your own project and modifying a shipping container has a unique set of challenges.